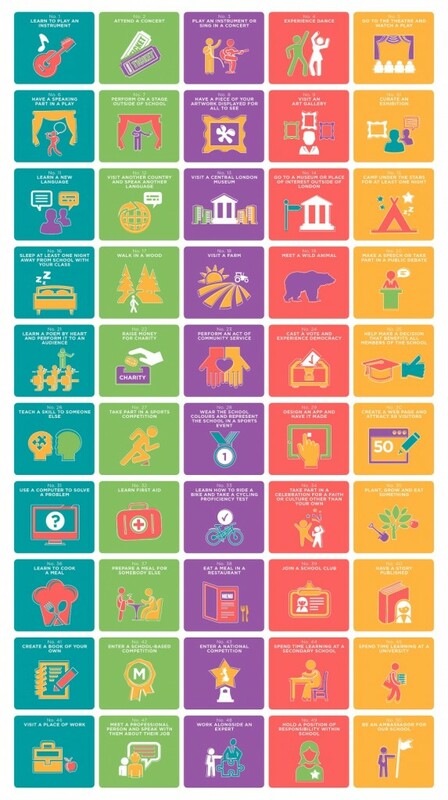 Inspired by The National Trust’s list of activities titled ’50 things to do before you’re 11 ¾’ we decided to produce our own Monteagle list of 50 things for our children to do during their time with us here from nursery through to secondary school. The list comprises 50 enrichment activities that we believe will support our children’s character education, giving them opportunity to practise and reflect upon our five core character virtues . These activities are linked to or constitute authentic outcomes within our curriculum. To put this list together we asked the children, parents/carers, staff and governors to make suggestions about activities they think should be included. We are very pleased with the list that resulted and are committed to ensuring our children take part in the 50 activities that make it up.